Recent internet research indicates that Facebook maintains over one billion active accounts worldwide. Twitter had more than 319 million active users in 2016. 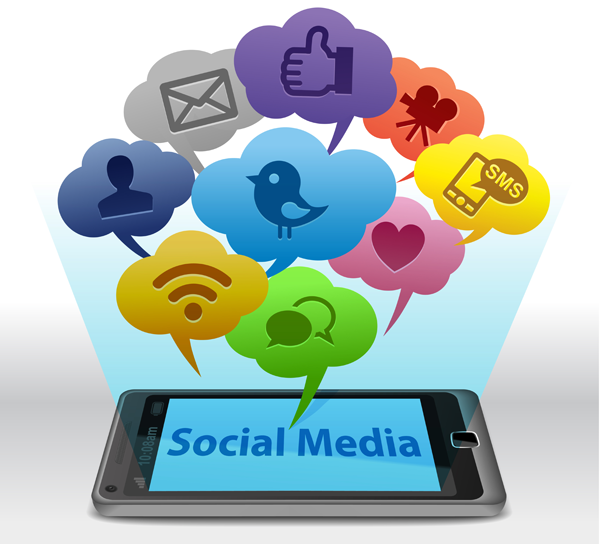 We assume that some of our clients use social media on a daily basis. For that reason, our focus in this entry is the manner in which this practice can harm a plaintiff’s personal injury case. We generally advise our clients to avoid posting to social media while their case remains open. Defense attorneys and insurance carriers routinely include review of a plaintiff’s social media entries as part of their investigation into a case. A seemingly harmless Tweet concerning the political issues of the day, or the inadvertent posting of a fun family outing on Instagram can damage a case beyond repair. Some examples are obvious. Imagine yourself as a juror, charged with the responsibility to determine the value of a Plaintiff’s spine injuries. You have heard the Plaintiff’s testimony as to the level of pain he or she has suffered, as well as the restrictions in daily activities caused by the Defendant’s negligence. You have also heard expert testimony from the Plaintiff’s surgeon regarding the severity of the injury, and the complex medical treatment which the Plaintiff has undergone, as well as likely future surgery. You are generally impressed by the testimony, and believe that the Plaintiff should be awarded a significant monetary verdict. However, the Defendant then introduces evidence from the Plaintiff’s Facebook and Instagram accounts. The Facebook posts include the Plaintiff’s boast that he will “strike it rich” because of the accident. Even if you genuinely believe that the Plaintiff was injured because of the accident, that comment somehow leaves a nasty taste in your mouth, and decreases any prior tendency you might have had to award a significant recovery to this Plaintiff. It doesn’t even have to be an ill-advised comment. Maybe an Instagram photo shows the entire family on an inner tube at a water park this past summer. Even if the Plaintiff truthfully testifies later in the trial that he was not in pain on that particular day; or that the water slide involved was gentle and not aggressive in nature, and not close to the highest rated thrill ride in the park, the damage has been done. That injured Plaintiff can try all he wants to convince the jury that while he went to the water park with his family, he did not actually go down the slide. The jury now has reason to question the severity of the Plaintiff’s injury, and worse yet, the veracity of all of the Plaintiff’s prior testimony. Plaintiffs can damage their cases in a more subtle manner too. If a Plaintiff has testified that the accident and resulting painful injuries have left him depressed, angry, and unable to engage in prior activities, even one recently posted photograph of him smiling, and seemingly happy cannot possibly help. Perhaps that smiling photograph literally was “a snapshot in time”, and does not accurately depict the Plaintiff’s usual demeanor. Even if that is so, the Plaintiff is left in the position of now having to explain this to what has become a very skeptical jury. The best advice we can give to you as your attorneys is to avoid social media posts during the pendency of your case. It doesn’t have to be a posted photograph that harms your credibility or angers a jury. A pointed Tweet on a controversial political issue may endear you to a particular juror, if that person happens to share your political views. It can also cause irreparable damage if that juror is bitterly opposed to your position. We think you’ll agree that one’s opinions on current issues have no bearing on the seriousness of the injuries suffered as a result of an accident. Defendant’s attorneys and insurance companies will often video tape a Plaintiff for a day when they suspect he is engaging in activity that the Plaintiff testified under oath he is unable to do because of his injuries. This investigation device can result in devastating evidence against a Plaintiff. If you understand the manner in which an opposing party defends a case, you’ll be in a better position to protect yourself against these tactics. The White Plains accident attorneys at Worby Vecchio Edelman have represented thousands of injured plaintiffs. Call us if you or a loved one have been injured in any type of accident. We’ll take the time to understand what happened, and we’ll answer all of your questions. We’ll tell you if we think you have a case. We can come to see you at home or in the hospital if you can’t make it to our office. There is no obligation, and we work completely on contingency, so there’s never a fee unless we recover money on your case.